A long day ahead, Rice Crispies with water have really lost their appeal now. Anyway the track continued on from where we had left it and it still looked most rocky. A steady start then. It was not as cold last night, dropping to 1°C, the usual pack up and guess what for breakfast … rice crispies (cheer) with water (boo). 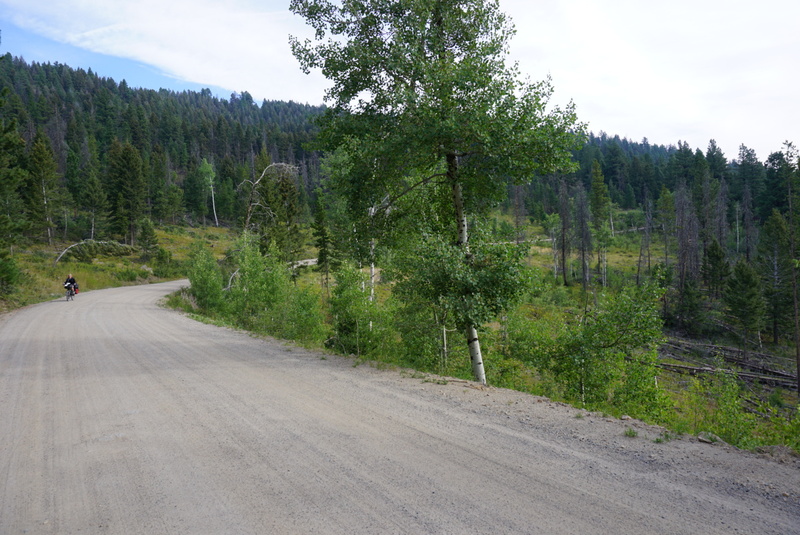 Then on to the gravel track, a steady climb up to todays high spot of 6300 ft. The day itself was very hazy, we were unable to see any real scenery. 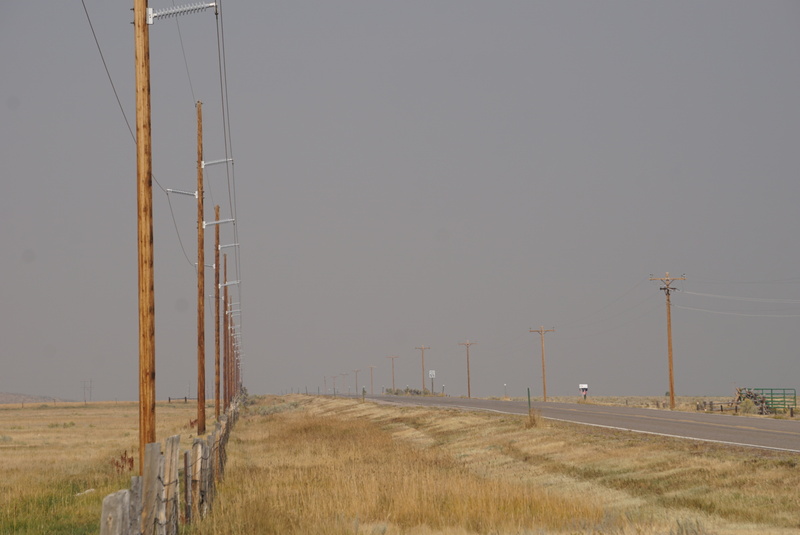 What we thought was mist turned out to be smoke from the 5 bush fires in and around Yellowstone Park which is 100 miles away. I can barely imagine the great clouds of smoke being given off by the fire if it does this to the atmosphere so far away from it. We are heading that way as well (I knew my fire retardant boxer shorts would come in useful, who says I wasted my money now?). Our room included breakfast, so 7.45 saw us chomping on eggs, hash browns, french toast and cereal. The hash browns are small pieces of potato pan fried, the french toast I am not sure about but it did not taste so good, the eggs were egg shaped, actually I lie they were scrambled. And of course coffee and tea (but mainly coffee). 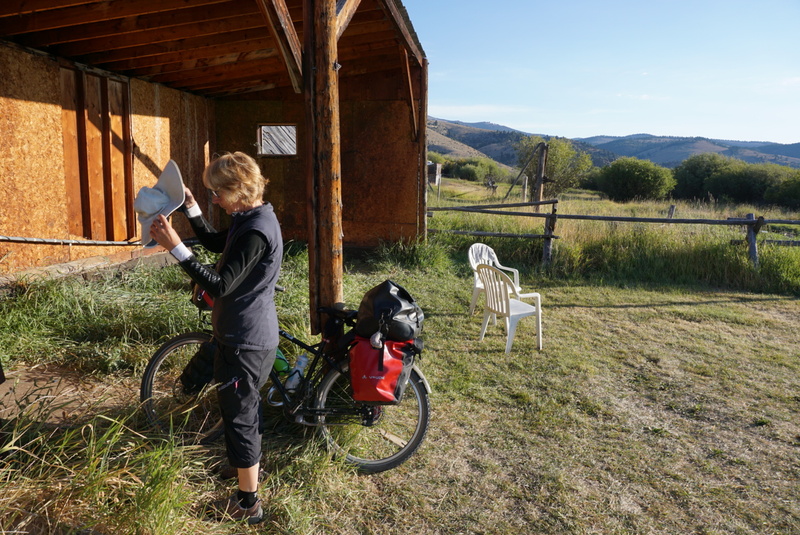 Of course it was a little sad saying goodbye to Robin who was cycling back to Butte for her flight out of Montana, speak to you soon. After a 7.30 milk purchase, a large bowl of rice crispies, yes you hear right some rice crispies was downed rapidly and we are ready to go. 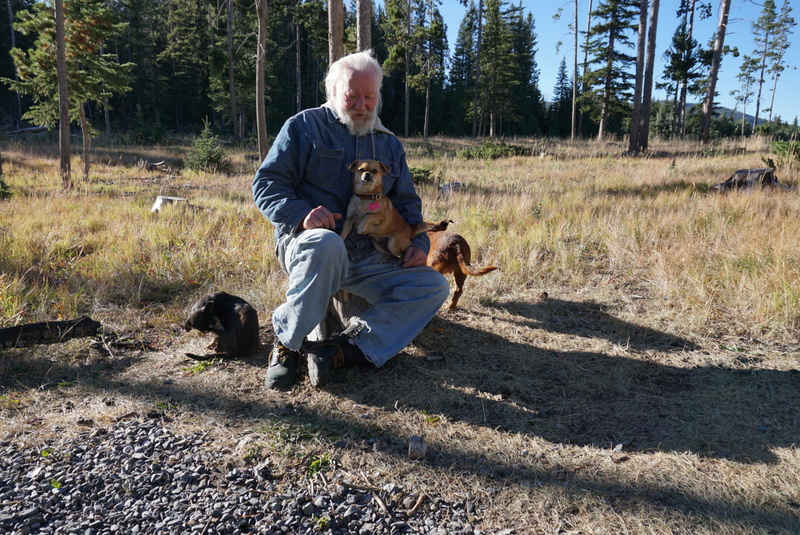 When I went to see Bob last night he was asleep, I didn’t disturb him but went to see him this morning before we left, I asked him if I could get a picture of him with his dogs yes of course, he even brushed his hair first. When it gets too cold here he will drive 50 miles further south was his answer to where are you going next? I cannot say how profoundly Bob has affected me, a man with 3 dogs called Angel, Abbey and Daisey. I am not writing any more today. When we woke, the day was very overcast, in fact it was a little chilly. Our day was going to be 20 miles so there was no rush to start. 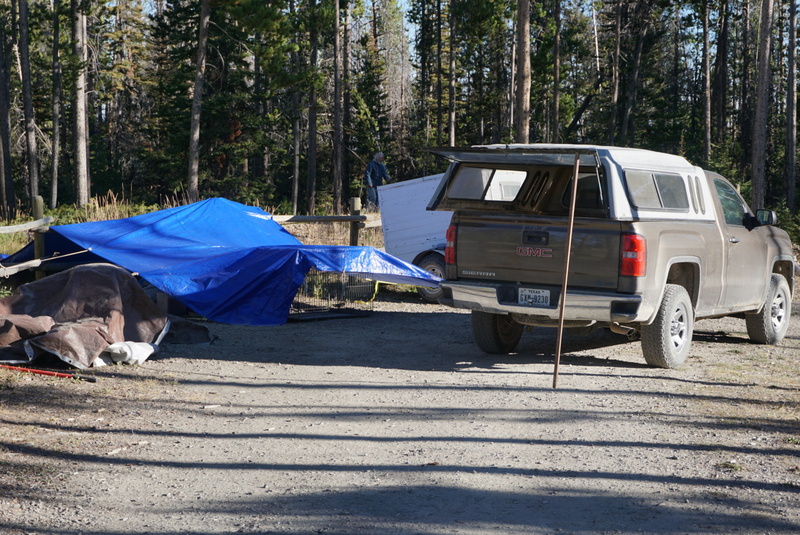 We said goodbye to Cindy and Todd who had camped with us the last 2 nights, they were off to visit the Butte Museum of Mining, although I am sure they will overtake us in a day or two. 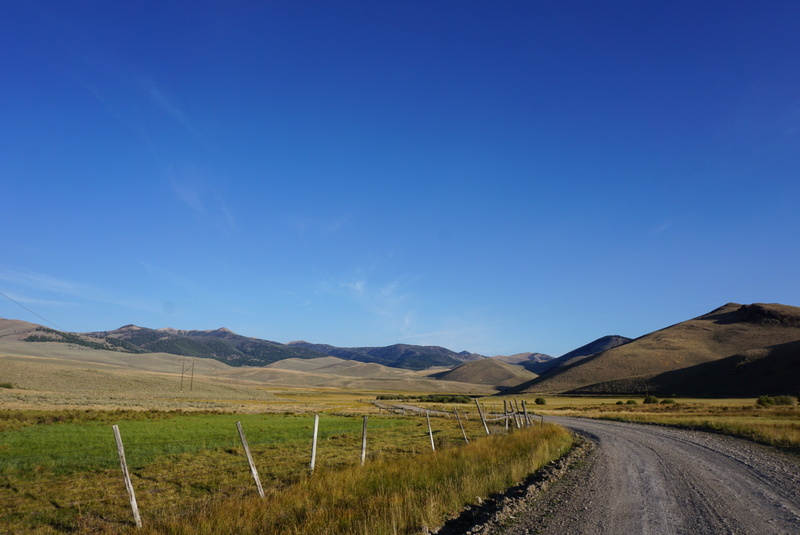 We left Butte by a very circuitous route as we had to pass over the Interstate 90. 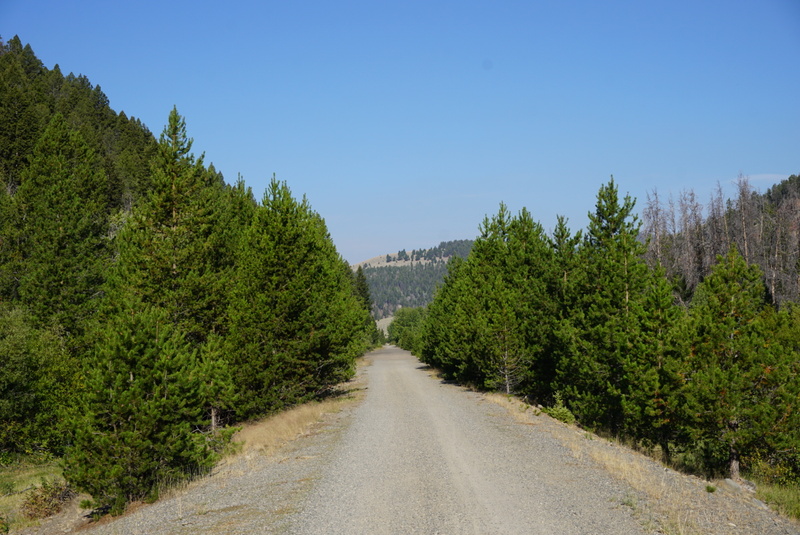 The first part on paved road headed south onto what becomes highway 2. The road was easy cycling with only the occasional car or truck. After yesterdays difficult day we were optimistic about this being a good day. 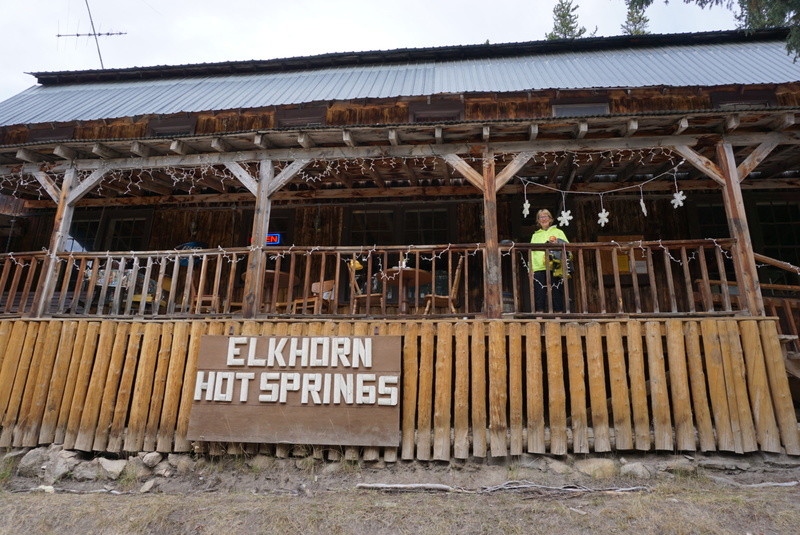 The route was 30 miles and only 1300 ft of climbing. A short piece of pavement then we were on the gravel track. This gradually wound its way up the valley following the River Boulder (nothing as grand as a river really, just a small stream but nontheless lovely). Our earliest start ever, we were away by 7.20, it does help not having to pack up a tent and other things. 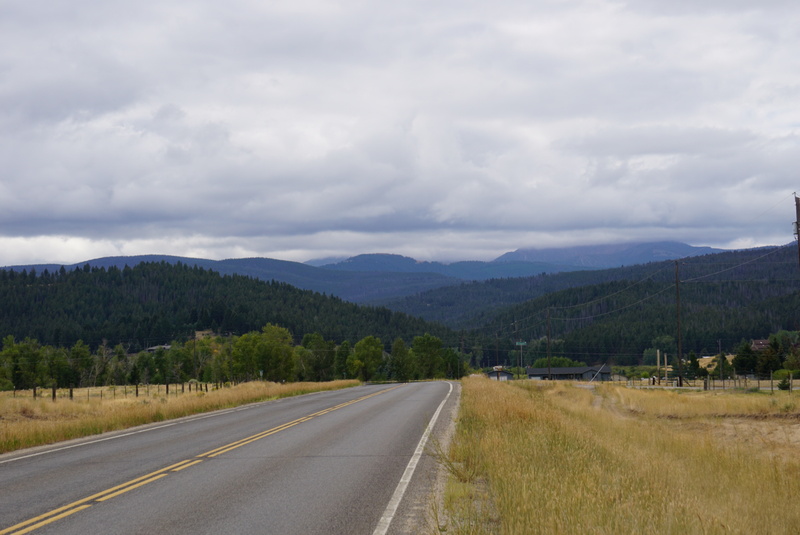 The road out of Helena started well, but as usual became a dirt track quite quickly (but it was a good one). 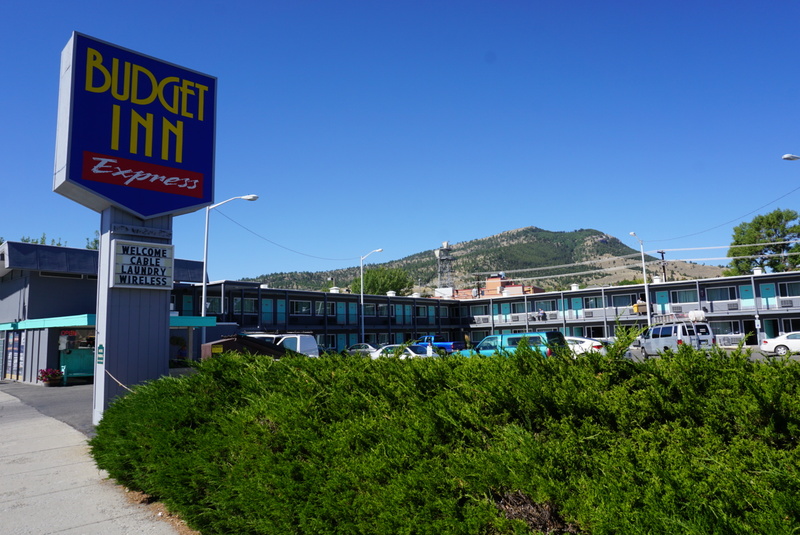 Due to very low leg power we spent a couple of days sampling the delights of Helena, it is quite a nice town. It certainly has everything you need albeit spread over 4 miles.